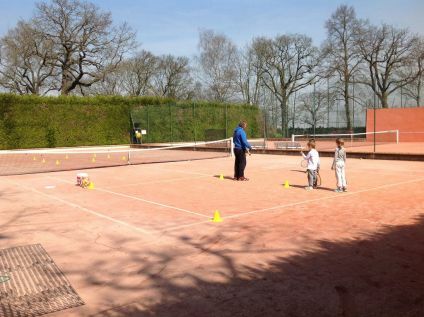 Members and their guests can use 3 classic-clay courts. This surface offers several advantages over clay courts (greater bounce and possibility of sliding) without the drawbacks (the courts can be used all year round and there is little maintenance). The courts are freely accessible in the week and can be reserved at weekends and on bank holidays via the website. Members are requested to only reserve 1 hour timeslots so that everybody can enjoy the courts.